Battles for control of the Shenandoah Valley involved legends of the Civil War—men like the “Black Knight of the Confederacy,” also known as Turner Ashby, and Thomas “Stonewall” Jackson on the Confederate’s side. From the Union’s side were notable officers like Phillip “Little Phil” Sheridan and George “Autie” Custer, two men who went on to fight Indian wars in the west. General Sheridan was also instrumental in the preservation of the land now known as the Yellowstone National Park. Winchester and the Shenandoah Valley are the backdrop for my upcoming historical novel, A Thousand Shall Fall. Contracted by Kregel Publications, the book is slated for release in early 2016. As it always happens whenever I research a novel, a strange feeling comes over me as I walk where I’ve imagined my characters have trod. And that’s exactly what happened when I visited the Shenandoah Valley this past October with my husband. It’s as if history beckoned to me. My story opens at the north fork of the Shenandoah River, so of course I had to see the precise location near Front Royal. 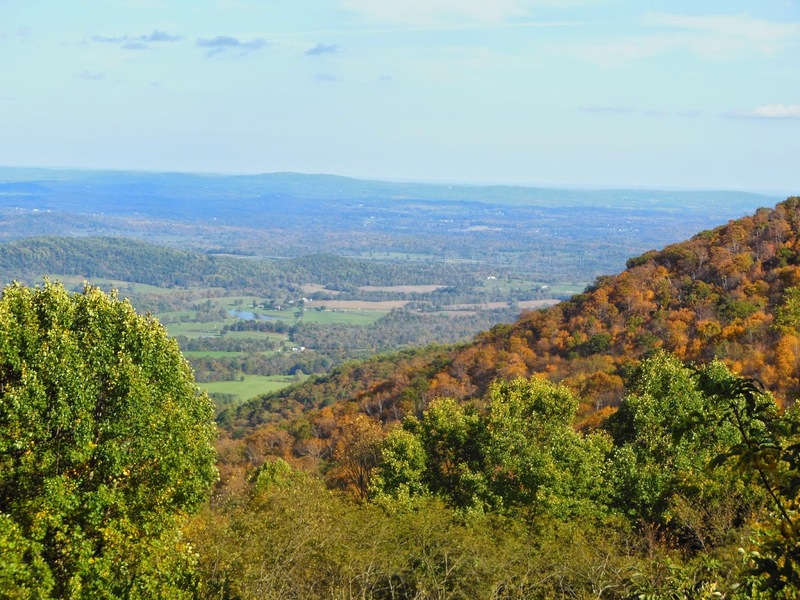 That warm, sunny, October day, my husband and I planned to spend time cruising Skyline Drive in the Shenandoah National Park. It’s known for its spectacular views, and that’s no understatement! We stopped at Signal Knob, a place on the Massanutten ridge where Confederate soldiers would spy on the Union Army, watch its movement, and then signal their commanders as to the Yankees’ location. At just the right time, the Rebs would attack. From this photo you can see the Shenandoah Valley stretched out behind me. I visited Historic Winchester and walked by the Taylor Hotel, which many times served as a hospital for wounded soldiers. During the Civil War, the town was the center of three battles, one in May of 1862, the second in June of 1863, and the last in September, 1864. Why so many? Winchester is the gateway to the Shenandoah Valley. 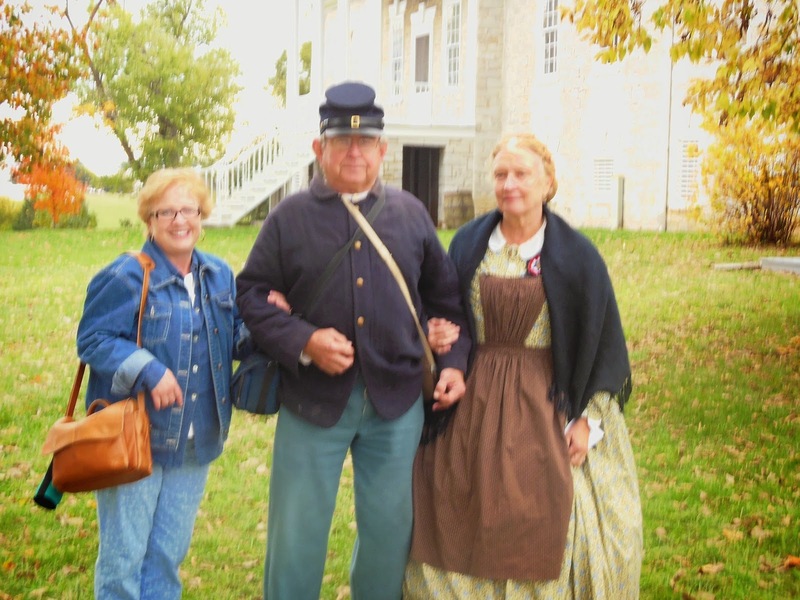 And, speaking of the Valley…my husband and I drove up and down the Pike (US 11) so I could get a feel for the topography, but best of all, our visit included attending Civil War Weekend at the Belle Grove Plantation in Middletown, Virginia. The event is held each year and I was told that some 5,000 re-enactors descended on the Bell Grove grounds, and about the same number of attendees had been expected, making this particular Civil War event one of the nation’s largest. 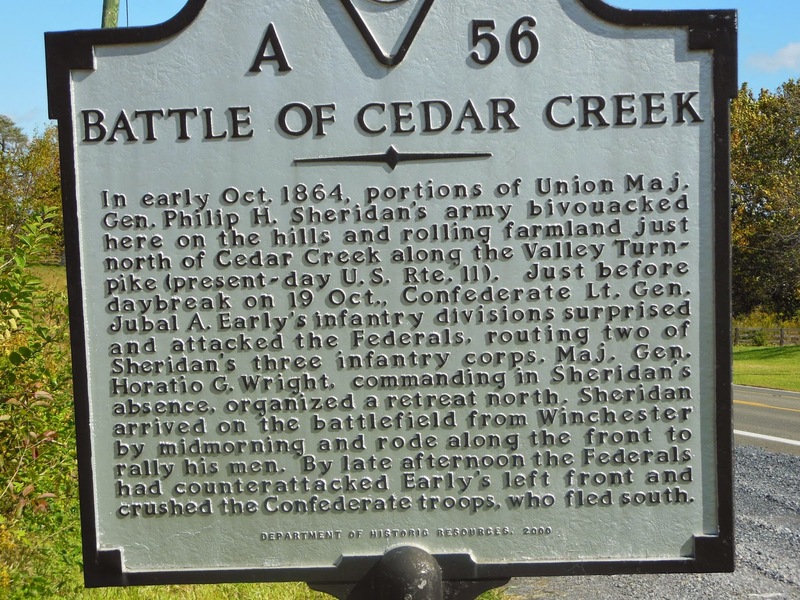 But this year was very special, as it was the 150th anniversary of the Battle of Cedar Creek. I felt blessed to be able to attend the celebration. For professional authors of historical fiction, of which I am one, researching a novel is part of the job of writing the book—but it’s also part of the fun! Andrea Boeshaar has been married for more than 36 years. She and her husband, Daniel, often brag about their 5 precious grandchildren. Andrea’s publishing career began in 1994. Since then, thirty of her books have gone to press with nearly one million copies in print! Additionally, Andrea cofounded ACFW (American Christian Fiction Writers) and served on its Advisory Board. In 2007, Andrea earned her certification in Christian life coaching and is currently the purveyor of The Writer’s ER, a coaching & editing service for writers. I have not gotten to visit this part of the country. It sure looks beautiful. 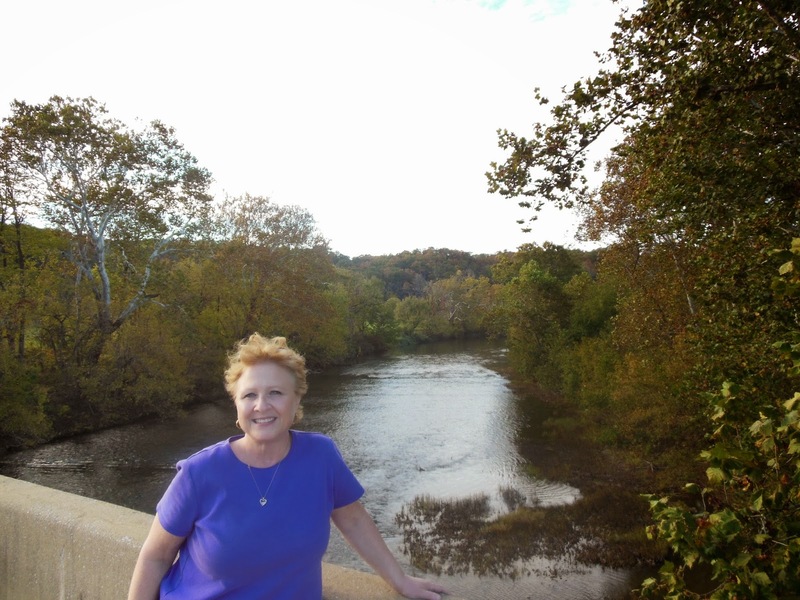 Thanks for sharing with us about your trip and some of the history of the Shenandoah Valley. Really enjoyed the post, Andrea. My sister, cousins and I traveled this area on one of our "cousin's" trips and it is beautiful. The pictures bring back memories of that trip. Every time I hear the song, I tear up thinking about the beauty of the country and the meaning of the song. Thanks for sharing. Hey Andrea!! Oh my goodness, I love the Shenandoah Valley. Such a beautiful area. 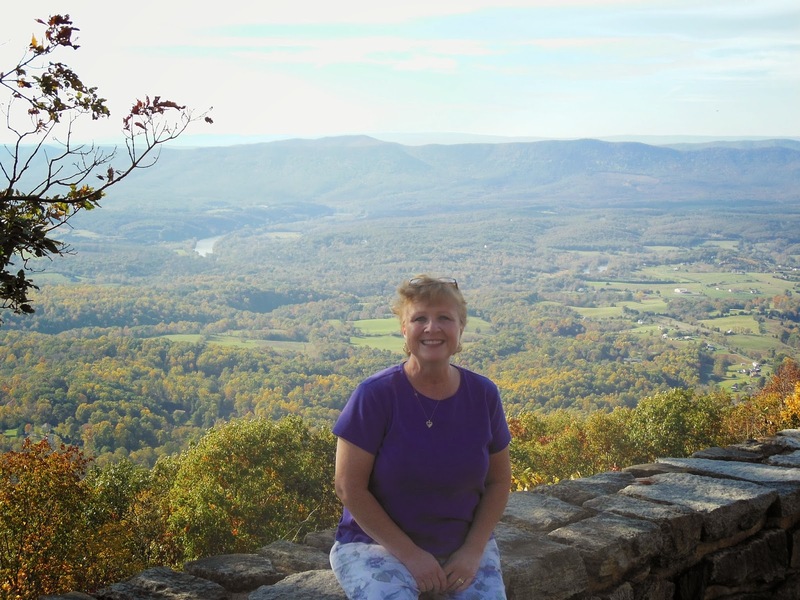 My crit partner set one of her stories in the Shenandoah Valley which was a real treat. Thanks for sharing your trip and the area history. Loved it! Andrea, Loved reading your post about your research trip to the Shenandoah Valley. One of my novels is about the Civil War in Texas, and I absolutely loved doing the research. We made a visit to the site of a prisoner of war camp in Tyler, Texas. I had no idea there was a POW camp located in that area -- and we lived north of Tyler for 10 years! Andrea, I love being able to visit a place as part of my research. The pictures of the Shenandoah Valley were beautiful. I've never been there, but would love to see it. Thank you for sharing. Love the Shenandoah Valley and Skyline Drive. Thanks for sharing. My husband's ancestors are from the Shenandoah Valley, and I find it especially beautiful. It's nice that you have had such great experiences with your research. Where in the valley? Do you know? Hi Andrea, doesn't the name Shenandoah just make you want to break into song!! Then you see the marvelous pics and tour you brought and the song swells into the Hallelujah Chorus. Thanks for the post. I LOVE the Shenandoah valley! And your pictures are beautiful - as is the song. It's easy to see why you connected so readily to this. Thanks for a great post! Thanks for this post, Andrea. The Shanendoah Valley was one of those places where families could be divided by their political sympathies. That took a long time to heal after the Civil War was over. Interestingly, the divide still exist today , but more subtly of course. My husband and I, being from Wisconsin--Yankees-- really felt it, although everyone was polite to us.